Moonglow is the best custom moon inspired jewelry shop in the United States, their online store is filled to bursting with dozens of designs featuring custom glow-in-the-dark moon pendants and jewelry pieces. Ordering a piece of custom moon jewelry from them is the perfect way to commemorate a special event in you or your loved one's life. You'll find nearly every typical type of jewelry at Moonglow, and a little bit of the a-typical as well. The typical includes necklaces, bracelets, rings, earrings, and even anklets. Each one with one or more personalized moon charms that makes it the perfect gift or treat for yourself! We even offer cufflinks, so if you need a subtle statement piece, we've certainly got a piece for you. Some of the jewelry is designed with women in mind more than men, and some is designed more with men in mind than women, but there is a very large cross-section that is designed to suit anybody and fit in with everyone’s sense of personal style. The moon has eight phases, and each one is unique and beautiful in its own special ways. While you can select a phase based purely on aesthetics, we definitely recommend going by a meaningful date and the phase attached to that. The gibbous moon may not please everyone aesthetically, but its’ just as beautiful when it means so much to you and your situation. People usually pick dates like their birthday, someone else’s birthday, or a special anniversary. Just plug the date you want to commemorate into our moon phase calendar, and it will save it as one of your moons for future selections too! 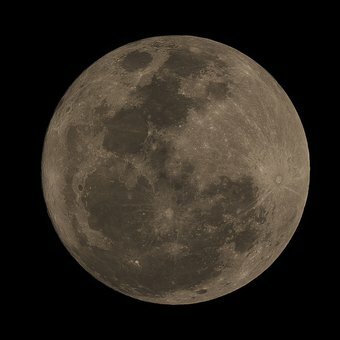 There’s lots to know about these moons as well, each one has a specific effect on how we feel that day, how well we accomplish things, and how well we can see at night. It’s even fun to note that what the moon phase was on the day of your birth actually affects what kind of personality you have, they’re called “lunar personalities” and they fit in really well with the zodiac. All our jewelry is nickel-free. Our jewelry is resistant to tarnishing but is susceptible to wear and tear if it gets wet regularly or is misused. While our jewelry isn’t magnetic, it may contain magnetic properties so if that’s a potential medical issue for you, make sure to take care when wearing or buying these pieces. They really do glow in the dark after absorbing any kind of light, but for the best results, sunlight glows the brightest and longest. Most of our necklaces will ship within 48 hours for US based purchases, it is slightly longer for international purchases. How long shipping takes will depend on the shipping speed you select, and how long the carrier takes to deliver. On rare occasions, we’ll have to assemble the piece of jewelry for you when you order it. On those occasions, it is possible that your custom jewelry will take up to fourteen days to construct before we can ship it out to you. Most pieces are returnable within 30 days of purchase. However, there are a few pieces that simply aren’t returnable, they’re the ones that are just too customized to be re-sellable for us. These are always very clearly marked in the description. Moonglow does wonderful and special custom jewelry pieces that are suitable to everyone’s style. Comment below if you have any questions! And be sure to like this post and sign up to get an email every time we update the blog!